We love sharing the stories behind the unique products we’ve sourced from skilled artisans and innovative makers; recently we were able to interview Maria from the Black Dog Fiber Studio. 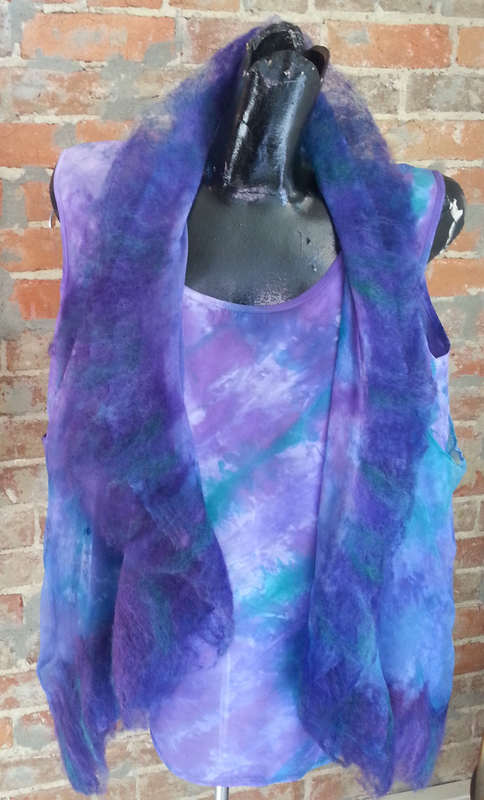 Maria is a fiber artist local to our area here in Kentucky, and we are pleased to now stock her Silk Scarf Dye Kit. We hope you enjoy getting to know Maria just a little bit better! 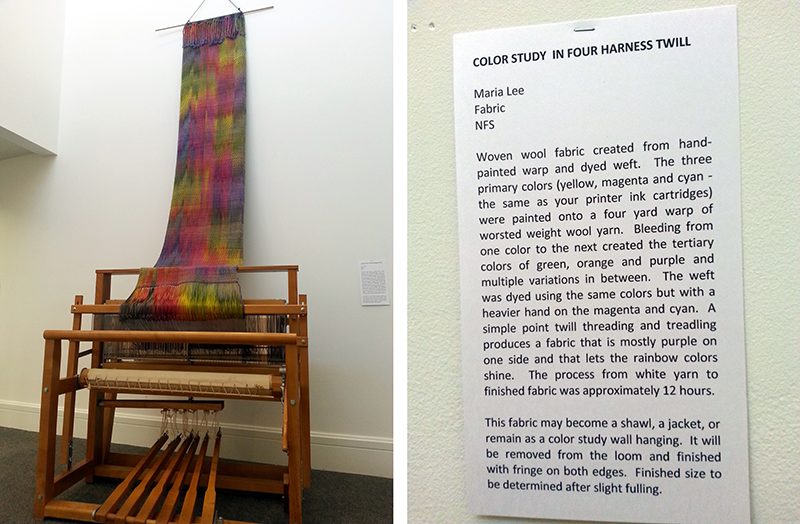 Which did you learn first: spinning, dyeing or weaving? I first learned to spin on a homemade drop spindle - "drop" being the operative word. I loved making yarn but was frustrated at the speed and learning curve. My wheel is a circa 1970's Louet S-10. I'm still in love with it. Like many artists, I have a day job and am blessed that I can combine my business office and studio space in one location. I try to keep my schedule flexible so there are days when I spend all my time at the desk and others where I flit from wheel, to loom, to sewing machine, or into the back room dyeing area. Currently I am preparing for the Hopkins County Fall Gallery Hop and getting ready to dye scarves. On the LeClerc Nilus there is a commission of dishtowels and on the Minerva I'm getting ready to warp up another lace scarf. At some point I'll finish the scarf that's been sitting on the Structo for 6 months and begin weaving on the handspun alpaca wrap that's warped up on the rigid heddle loom. What went into developing your silk scarf kits as a product? Several years ago a friend approached me about doing a craft workshop the day after Thanksgiving for her female family members. I thought it was a great idea and ended up doing a nuno felt class for 20 people. We had a blast and my friend asked to plan another one the following year, featuring a different craft. So the next year we had a silk scarf dyeing workshop and everyone enjoyed it, although some expressed sadness that several of the family weren't able to make it. So I thought about ways that the fun of dyeing could be shared from a distance and eventually worked out the idea of the silk scarf dyeing kit. What are some of your favorite local resources for materials? The Woolery, of course, is first on the list because I support Kentucky businesses whenever possible. Also because I love to get free shipping when I make a $100 dollar order :-) Through Ravelry I've found sources close to me for raw wool and alpaca that I use in spinning or nuno felting. My favorite resources are the friends I've made in the fiber industry and the other knitters, crocheters, dyers, spinners, and weavers who I get to see on a regular basis for spinning retreats. What are some of the charities that are near and dear to your heart? My studio is in the heart of downtown and I've seen it grow better and better each year. Supporting my community is a priority and I'll pretty much donate an item for a fundraiser to anyone who asks. Most recently I've been involved in Habitat for Humanity, our local library, the Hopkins County Art League and United Way. Maria spins, weaves, knits, felts, dyes her own fabrics and designs clothing. In 2010, she opened Black Dog Fiber Studio; today, she dyes and spins her own yarns and creates beautiful silk scarves and clothing. 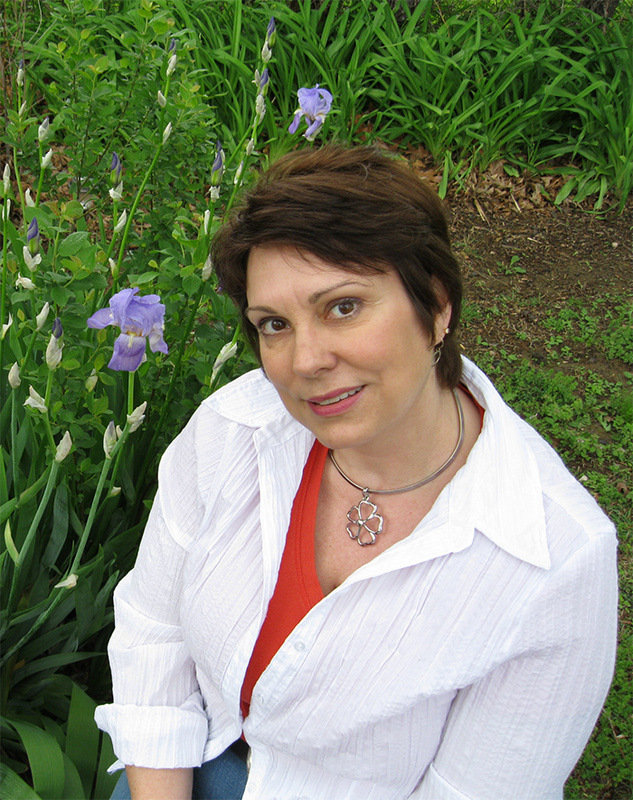 She also teaches knitting and felting workshops, and she creates and publishes knitting, crochet and sewing patterns. 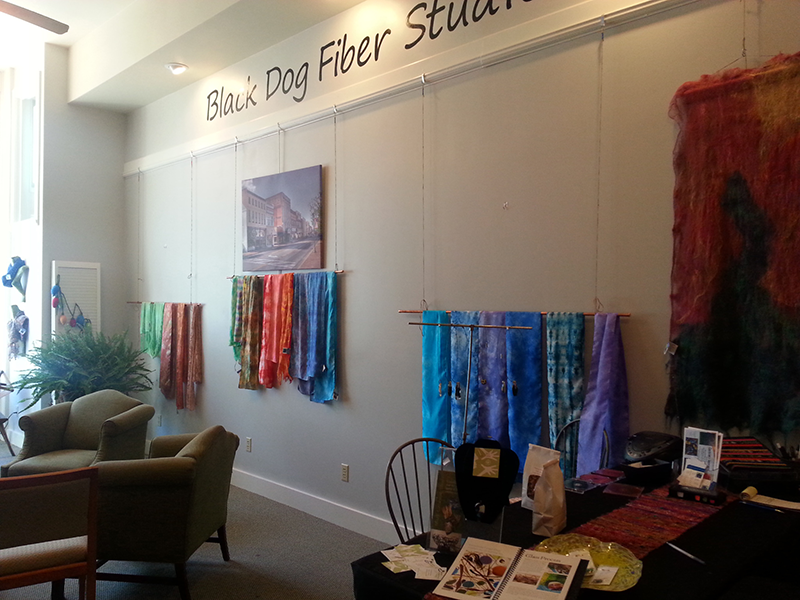 Black Dog Fiber Studio is located in a circa-1870’s building that she and her husband renovated in downtown Madisonville, Kentucky. Our annual event is in full swing - click here to see this week's special for the 12 Fiber Toys of Christmas at the Woolery!